25th Battery: Reporting at New Orleans, Louisiana with four 3-inch Ordnance Rifles. Captain John A. Grow remained in command. Recall this battery, and the 26th, below, had suffered shipwrecks when transiting from New York to Louisiana. The 25th remained part of the garrison of New Orleans, in the Nineteenth Corps’ rear area. In late June, the battery was among forces dispatched to deal with a Confederate force aiming to disrupt supply lines. The battery received differing assessments for performance at LaFourche Crossing, June 20-21. 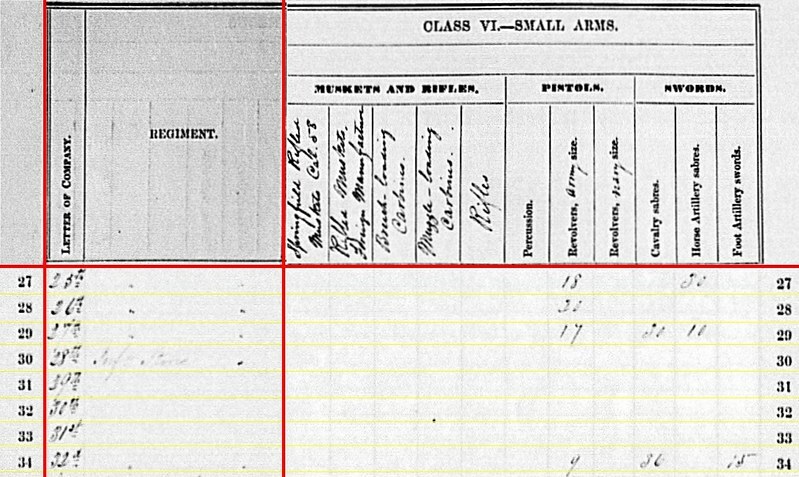 Of interest, Grow reported having charge, in addition to his four rifles, of a 18-pdr gun, two 12-pdr howitzers, and one 6-pdr. All of those pieces, according to Grow, were spiked, disabled, and thrown in the bayou owing to a hasty withdrawal. 26th Battery: Also at New Orleans, but with four 12-pdr Napoleons. Captain George W. Fox’s battery was part of the garrison of that city. 27th Battery: At Camp Barry, Washington, D.C. with four 12-pdr Napoleons. Captain John B. Eaton commanded this battery. In mid-July, the battery transferred to the Department of the Susquehanna. 28th Battery: At Fort Schuyler, New York with “infantry stores.” The battery served at Fort Schuyler and Sandy Hook. Captain Cyprian H. Millard was dismissed on June 15, 1863. Captain Josiah C. Hannum then took command. 29th Battery: No return. At the end of 1862 the battery had four 20-pdr Parrotts. But by the end of June, the battery was run down. Captain Otto Diedrich remained commander, but many of the men were detailed to the 32nd Battery. 30th Battery: No return. Also a battery previously armed with four 20-pdr Parrotts. Captain Adolph Voegelee commanded. The battery would later serve with the Eighth Corps at Harpers Ferry, towards the end of July. 31st Battery: No return. Captain Gustav Von Blucher took command of this battery during the winter. But as it was reduced, the men were attached to other batteries. 32nd Battery: At Maryland Heights, Maryland with six 3-inch Ordnance Rifles. Captain Charles Kusserow resumed command in May. By the end of July, the battery was with the Eighth Corps’ Maryland Heights Division. 33rd Battery: Authorized on July 9, 1863, the battery did not leave the state until September 5. Captain Algar M. Wheeler was in command. 34th Battery: This number was reserved for Battery L, 2nd New York Artillery. 35th Battery: Also authorized on July 9. Captain James B. Caryle was in command. But the 35th was never completely formed. What men were recruited were allocated to Battery A, 16th New York Heavy Artillery. 36th Battery: Authorized on August 11, 1863, Captain Charles Graham Bacon was named commander. But the battery never completed formation. Instead, men were transferred to the 13th New York Heavy Artillery. So of twelve batteries we’ve considered, only five posted returns. 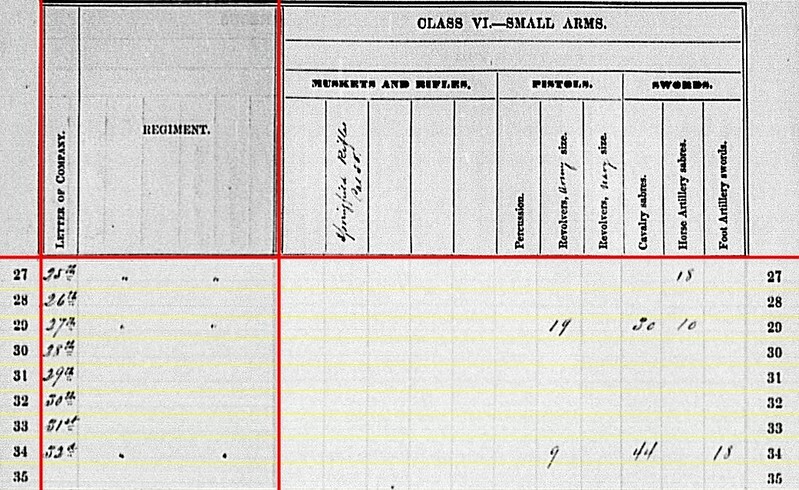 And only four of those had field artillery assigned. 25th Battery: 148 canister, 80(?) percussion shell, 290 fuse shell, and 326 bullet shell for 3-inch rifles. 32nd Battery: 120 canister and 497 bullet shell for 3-inch rifles. 32nd Battery: 583 shells for 3-inch rifles. 25th Battery: Eighteen Army revolvers and thirty horse artillery sabers. 26th Battery: Twenty Army revolvers. 32nd Battery: Nine Army revolvers, thirty-six cavalry sabers, and fifteen foot artillery swords. I’d intended to throw in the three lines covering miscellaneous detachments with this last set of independent batteries. But upon full reflection, I feel those warrant a more detailed look. Those three, along with a separate battery which escaped notice, are for the next installment. 25th Battery: Reporting at New Orleans, Louisiana with four 3-inch Ordnance Rifles. Captain John A. Grow remained in command of this hard-luck battery. Recovered from a shipwreck in transit to New Orleans, the battery went into the defenses of the city as part of the Nineteenth Corps. 26th Battery: No return. Also a shipwreck survivor! Captain George W. Fox’s battery was also listed in the New Orleans defenses. Very likely the battery had not been reequipped for field service by the spring of 1863. 27th Battery: At Camp Barry, Washington, D.C. with four 12-pdr Napoleons. Under Captain John B. Eaton, this relatively new battery was still training up to standards at the start of spring 1863. 28th Battery: No return. This battery would spend the war at Fort Schuyler, New York. Captain Cyprian H. Millard is listed as commander. 29th Battery: No return. Formerly, Battery A, 1st New York Light Artillery Battalion. This battery was assigned to the Army of the Potomac’s Artillery Reserve, likely retaining its four 20-pdr Parrotts. Returns from the period list Lieutenant Gustav Von Blucher as commander, but Captain Otto Diedrich was listed on the battery rolls. 30th Battery: No return. Re-designation of Battery B, 1st New York Light Artillery Battalion. Also with the Artillery Reserve at this time, and also a battery with four 20-pdr Parrotts. Captain Adolph Voegelee commanded. 31st Battery: No return. And this was old Battery C of that New York light battalion. Also assigned four 20-pdr Parrotts. This battery’s history is somewhat vague. Captain Robert Langner remained battery commander. But the battery does not appear on Army of the Potomac rolls at the end of the winter. 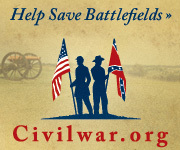 However, the battery appears to have taken nine casualties during the Chancellorsville Campaign. 32nd Battery: At Martinsburg, (West) Virginia, and reporting six 3-inch Ordnance Rifles. The location is valid for the June 1864 reporting date. Starting the spring of 1863, the battery was still with the Army of the Potomac’s Artillery Reserve. Captain Charles Kusserow gave way to Lieutenant George Gaston, temporary, at the start of spring. 33rd Battery: Not listed. This battery would not muster until September 1863. 34th Battery: Not listed. Recall, this is the re-designation for Battery L, 2nd New York Heavy. 35th Battery: Not listed. Recruiting of this battery started in July 1863 but never progressed far. Battery never formally organized and those recruited transferred to the 16th New York Heavy Artillery. 36th Battery: Not listed. Another battery authorized in the summer of 1863. And it also failed to organize. 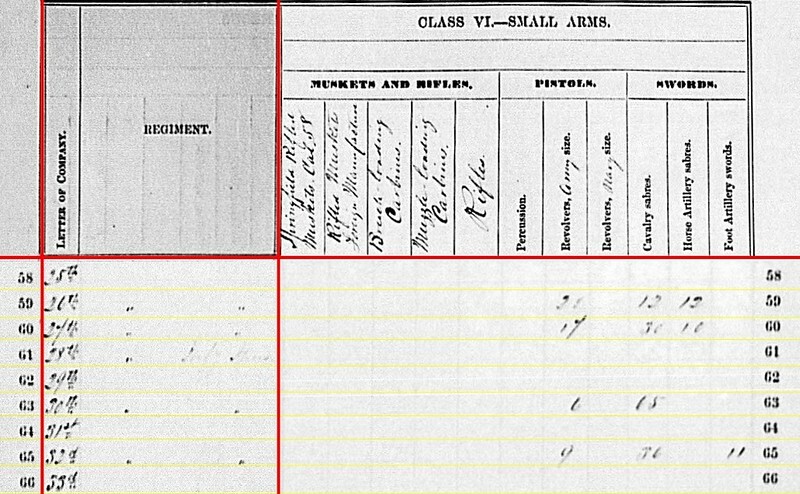 Recruits sent to the 13th New York Heavy Artillery. 27th Battery: 229 shot, 62 shell, 254 case, and 72 canister for 12-pdr Napoleons. 25th Battery: 80 canister, 60 percussion shell, 300 fuse shell, and 300 bullet shell for 3-inch rifles. 32nd Battery: 120 canister, 600 percussion shell, and 480 fuse shell for 3-inch rifles. How about Dyer’s, James’, Parrott’s, and Schenkl’s? 25th Battery: Eighteen horse artillery sabers, perhaps saved from the shipwreck of January 9, 1863. 27th Battery: Nineteen Army revolvers, thirty cavalry sabers, and ten horse artillery sabers. 32nd Battery: Nine Army revolvers, forty-four cavalry sabers, and eighteen foot artillery swords. Thus we round out the New York Independent Batteries. The unit’s service varied. Some of these batteries stood at pivotal moments of the war. Others, as we have seen from administrative accounting, were posted well out of the war.